Sonia Richards is the International Chair of the Association for IEMT Practitioners and was one of the first IEMT Trainers appointed by Andrew T. Austin, the developer of IEMT. Her teaching and training experience began as a trainer and University Degree lecturer in her original profession Biomedical Sciences. 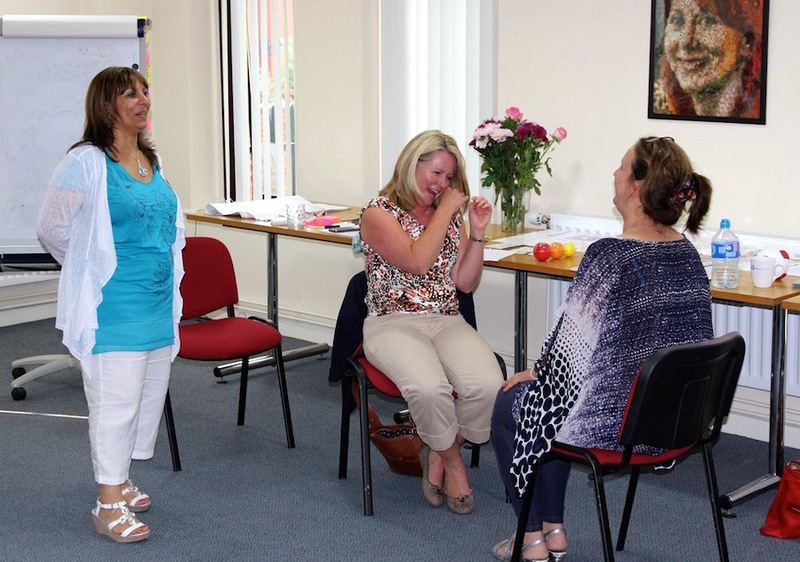 She has also been trainer for several Complementary Therapies organisations and has a vast amount of experience teaching workshops for various therapies and in Hypno Birthing as a member of the UK Hypno Birthing Advisory Board. Sonia trains the Practitioner and Advanced Practitioner IEMT courses and provides post course mentoring. She is a large contributor to the official IEMT FaceBook groups helping Practitioners with their understanding of all aspects of the modality. More recently Sonia has been giving talks and workshops on Metaphors of Movement, the newest therapeutic innovation from Andrew T. Austin and her experience of both modalities in therapeutic practice is very extensive. Courses are extremely informative, interactive and she believes in learning through hands on experience and plenty of laughter.